After they saw the photos, some students instantly understood the day’s topic and were very excited to tell me how much they already knew about eclipses. We would eventually have a quiz—entirely in Japanese. El Marino Language School is located outside of Los Angeles. This is a public dual immersion elementary school that was established in 1992. 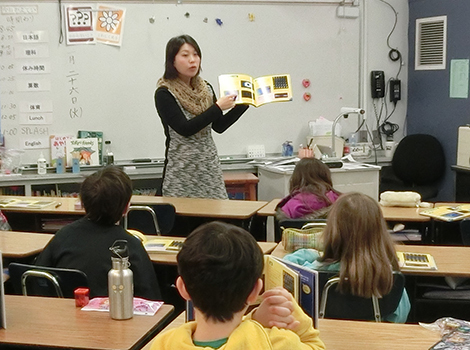 We have both Japanese and Spanish immersion programs from kindergarten to fifth grade. There are two classes in each grade. Students are native Japanese speakers, Japanese-Americans with varying levels of Japanese language comprehension, and non-native Japanese speaking (Japanese is not part of the students’ cultures) students. Most of these students continue Japanese through high school.